I've used it layered with Redken Guts 10 volumizing spray and by itself. Either way, it left my hair feeling thick and healthy. It works by coating each strand of hair, making the style hold better and repelling dirt and gook that can weigh down strands. It also works as a detangler. Prime did irritate my scalp after a few days of continuous use, as most products tend to do. It will work better for me to use this product every few days, especially on those days when I have a lot going on and need my hair to stand up to a busy schedule. Good thing, too, because it's expensive. KEEP OR TOSS: Keep. I've already ordered a full-size tube. 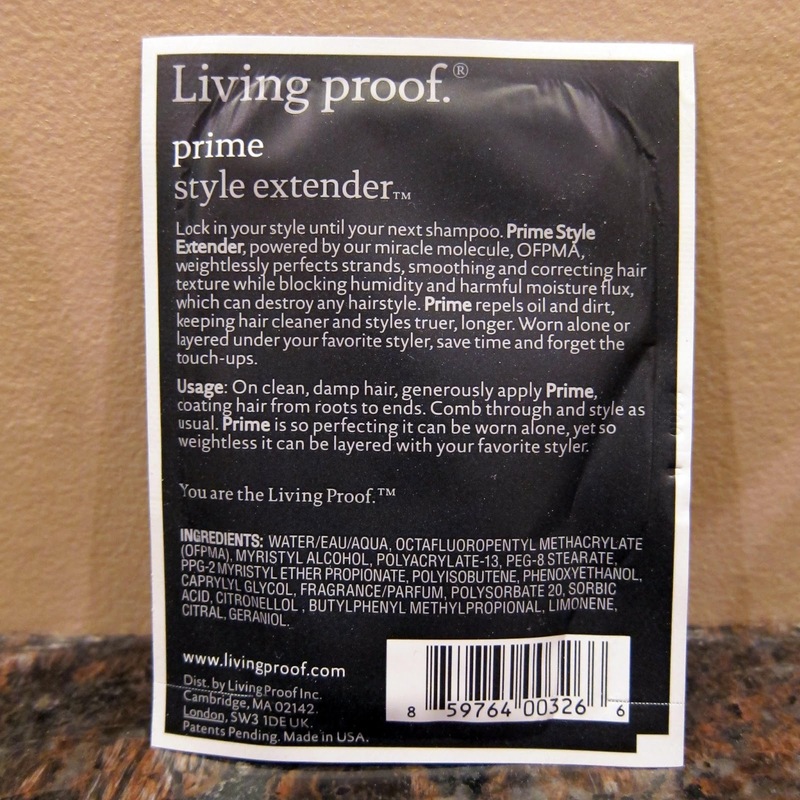 CHECK IT OUT: Apply Living Proof Prime on damp hair. Work a little dollup, and style as usual. Living Proof offers free shipping (no minimum purchase) and samples with every order.